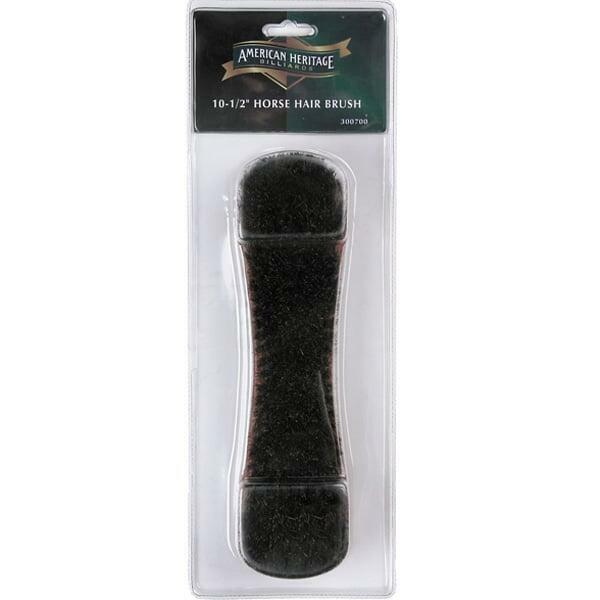 This pool table brush is made for use on billiards tables with felt tops. It features bristles of two different lengths: longer bristles are around the edges and shorter ones are in the middle for the best maneuverability and effectiveness. The brush is useful after each playing session. It removes dust, dirt, chalk dust and other unwanted contaminants from the surface so that it remains in perfect working condition. Start at the bumper railings, and then brush the felt top. Sweep dirt from the center of the table to the nearest pockets using straight strokes of the same direction. Go with the felt, not against it! Regular maintenance of your felt surface will increase the longevity and playability of your home pool table.